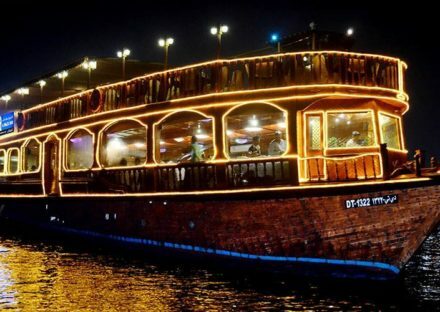 Even to visualize about the stunning dhow cruise makes your adrenaline. 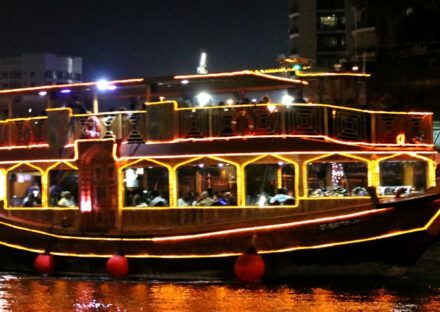 It is the well-known and most pleasurable trip on the Dubai Creek under the moonlight on the dhow, exciting yourself with delicious food, belly dancing which will amuse you, also the magical show, and a brilliant chance to see the magnificent sights of Dubai with the gentle ride down the peaceful river with your partner feels more romantic. Our traditional Arabic atmosphere, excellent skill, and comprehensive views give the perfect experience possible. * For 7 to 8 persons special group discount available. Other information Air-conditioned lower deck & open-air Upper Deck. To get all these services the Dubai Tour Services is at a distance of a phone call. You don’t have to stress yourself as it’s going to be the best trip ever with us. 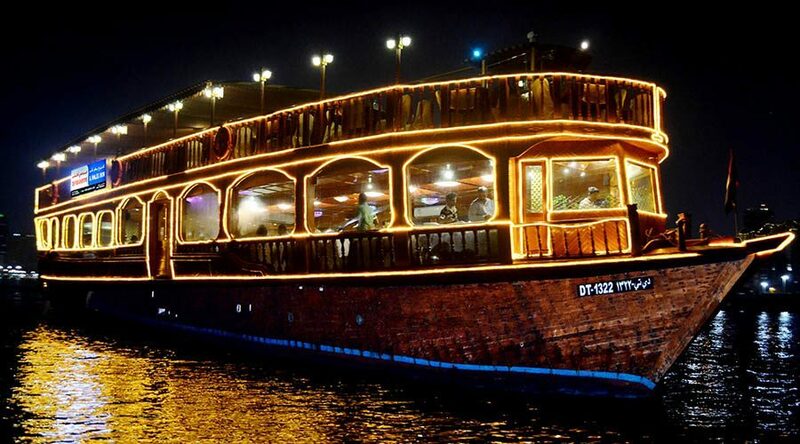 Just dial us and reserve your seat in the Dhow Cruise in low price.